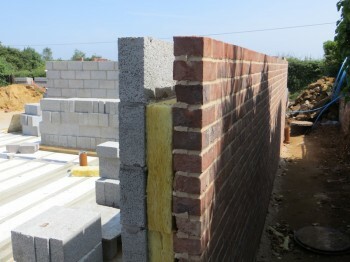 Like the floor the walls are super insulated to ensure that energy consumption is as low as possible. 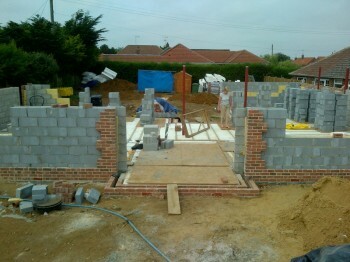 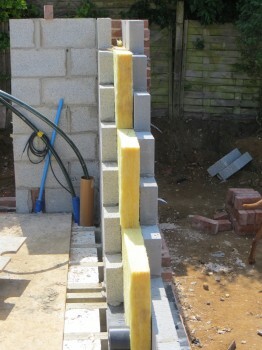 The cavity between the block work is filled with 100mm fibreglass batts. 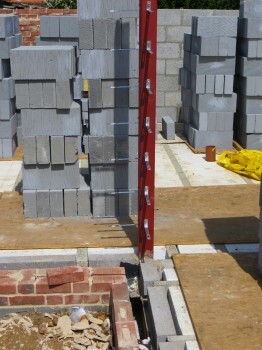 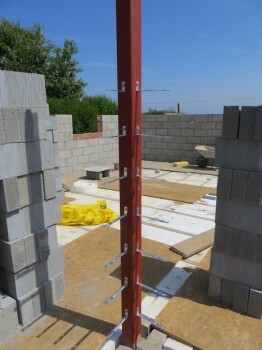 Concrete blocks line the load bearing walls and the outer walls use thermalite blocks to give a low U value (the U value is the measure of the thermal performance of the building , a low value indicates high levels of insulation).